A 25 year old beginning with a modest principal, invested in the highest return fund, could lose out on over $107,000 in earnings over their working life. For a 25 year old invested in the largest fund, they could miss out on over $44,000 in earnings, or if invested in the lowest return they could miss out on over $7,000. A 50 year old, who has been saving for 25 years and continues to save for 15 years in a highest return fund until retirement, could lose out on over $43,000 in earnings. They would lose out on over $17,000 if they are invested in the largest fund, or over $2,500 if they are invested in the lowest return. 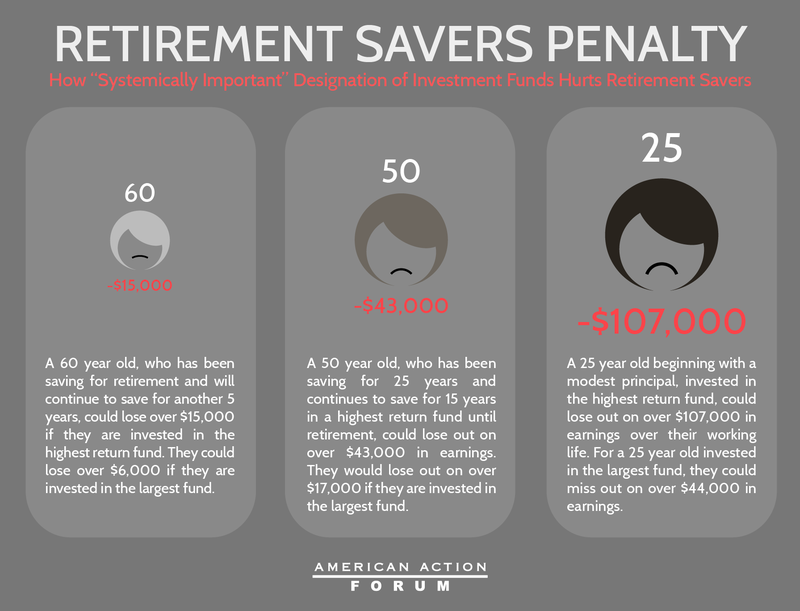 A 60 year old, who has been saving for retirement and will continue to save for another 5 years, could lose over $15,000 if they are invested in the highest return fund. They could lose over $6,000 if they are invested in the largest fund, or over $900 if they are invested in the lowest return. The research was conducted by Douglas Holtz-Eakin, AAF’s President, and Satya Thallam, AAF’s Director of Financial Services Policy.